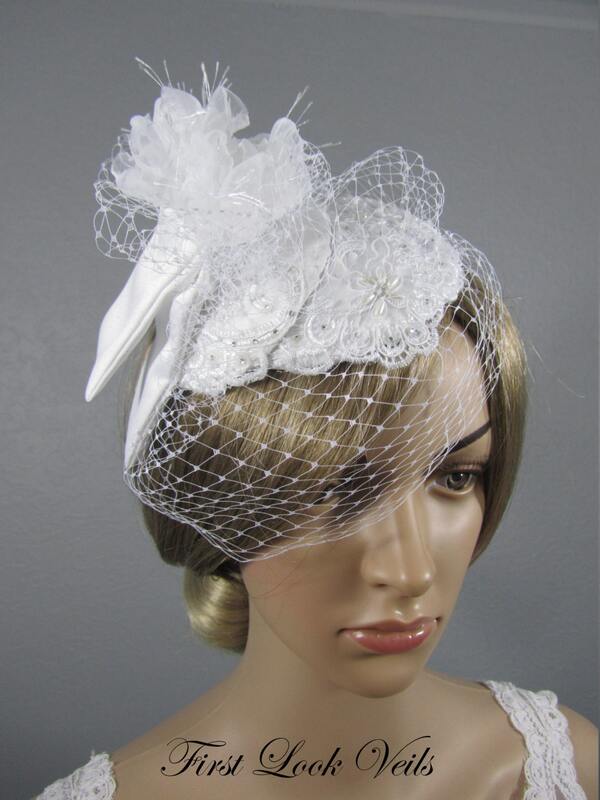 Fascinator, birdcage, cage veil is handmade from the base to the flower. 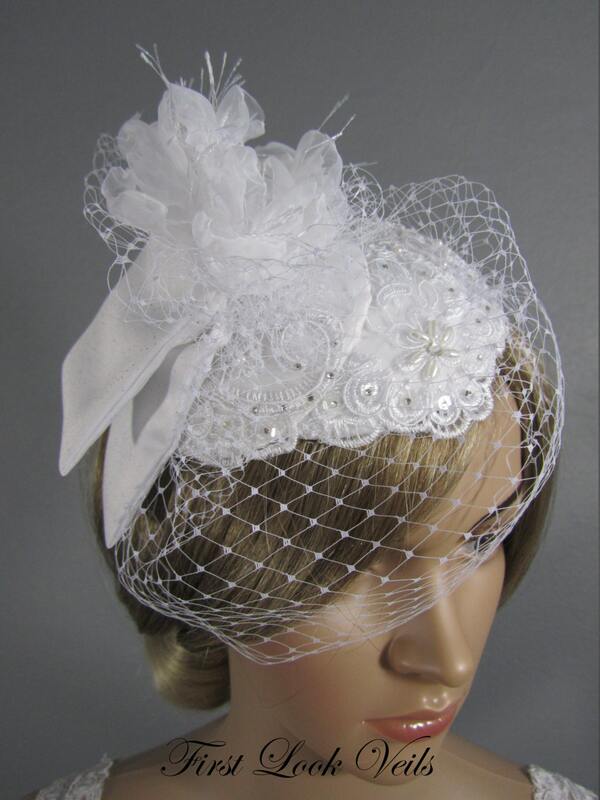 It has an overlapping, double-based fascinator covered and edged with lace and crystals. 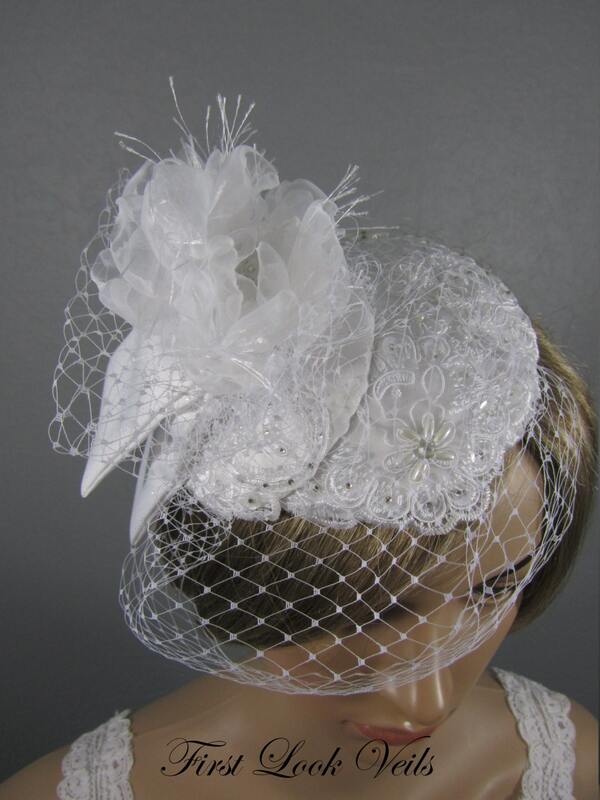 It is adorned with a two piece, wired sparkle fabric accent on the side. 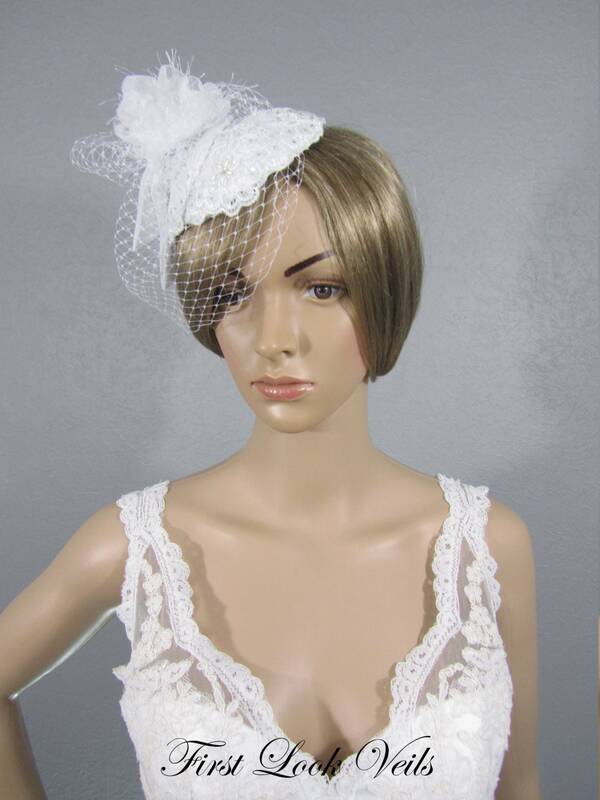 The organza flower has eyelash fringe and an embroidered lace, pearl and bling center. A Russian netting birdcage is attached. A 3 inch wire comb is sewn into the bottom along with loops for securing with bobby pins. 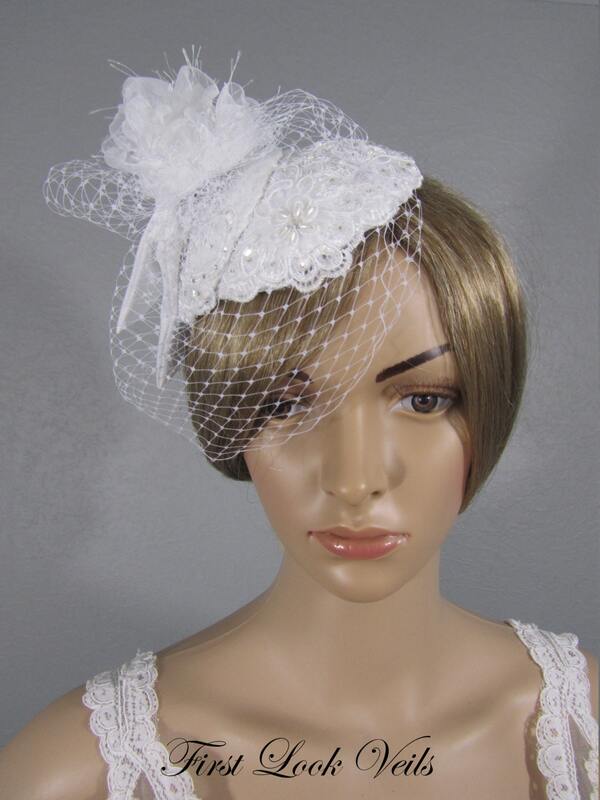 This fascinator is a statement piece.